The reinvented Blues Cube series launches the classic 1x12 combo amp into a new era, combining genuine tube sound and response with modern reliability and easy portability. Going far beyond modeling, Roland’s Tube Logic design philosophy starts with carefully reproducing the inner workings of the revered tweed-era tube amp in every way, from guitar input to speaker output. Versatile clean and crunch channels can be used independently or combined for a complex range of tones, while variable output power modes let you dial in burning, full-throttle sound at any volume. Road-tested and fine-tuned with feedback from top players, the gig-ready Blues Cube delivers the sweet, magical tone and satisfying feel that makes a great guitar amp a highly expressive musical instrument. Warm, bouncy, responsive, dynamic, elastic…these are all terms that guitarists use to describe the satisfying experience of playing their favorite tube amps. Thanks to Roland’s Tube Logic, these words can be applied to the Blues Cube Stage as well. Dramatically evolved from the first-generation sound of the original Blues Cube amps from the ’90s, today’s Tube Logic accurately provides the complex, highly interactive behavior of classic tube designs in meticulous detail, providing the magical “it” factor that takes a guitar amp from a simple sound system to a living, breathing musical instrument. Great feel, distortion control with touch and volume, bloom, sparkle, power supply “sag,” and more—everything that players love about a finely tuned vintage tube amp is present in abundance with the Blues Cube. Ready for live playing, the Blues Cube Stage is equipped with 60 watts of power, plus a custom 12-inch speaker that’s been specially designed for maximum tonal response with Tube Logic. The open-back cabinet features poplar plywood construction, which offers acoustically vibrant tone for solo or group performances. 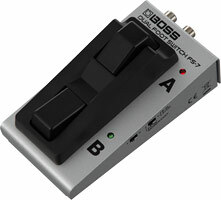 The Blues Cube Stage has two independent channels—one voiced for cleaner tones, and the other for crunch. 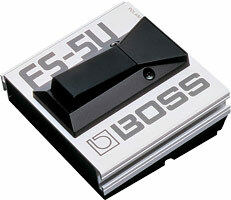 Each channel has its own Boost and Tone switches to shape the character. The Clean channel’s single volume control dials in natural tube fullness and bite as the volume is cranked, while the Crunch channel’s variable gain control provides a range of grit flavors from mild to aggressive. With the press of a switch, the unique Dual Tone mode lets you blend both channels together for an endless array of rich tones. And just like a vintage tube amp, the Blues Cube loves stompboxes, allowing you to further shape your personal sound by hitting the amp’s front end with your favorite gain pedals. Modification circuit that changes the tube characteristics of the original Blues Cube.